Why spend so much money, time, and effort to do a manicure that would require a repetition every week? 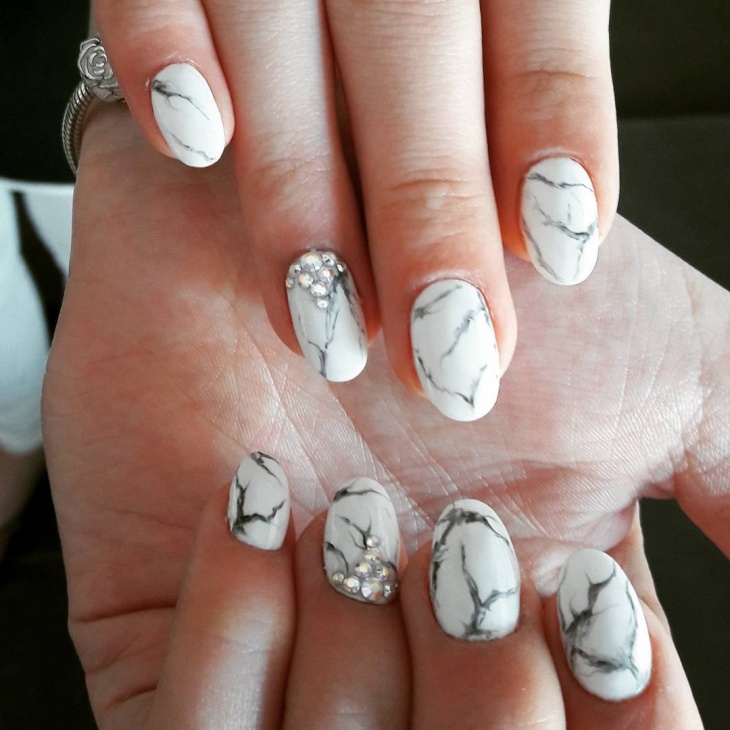 There’s a much cheaper and gorgeous way to spice up your nails. 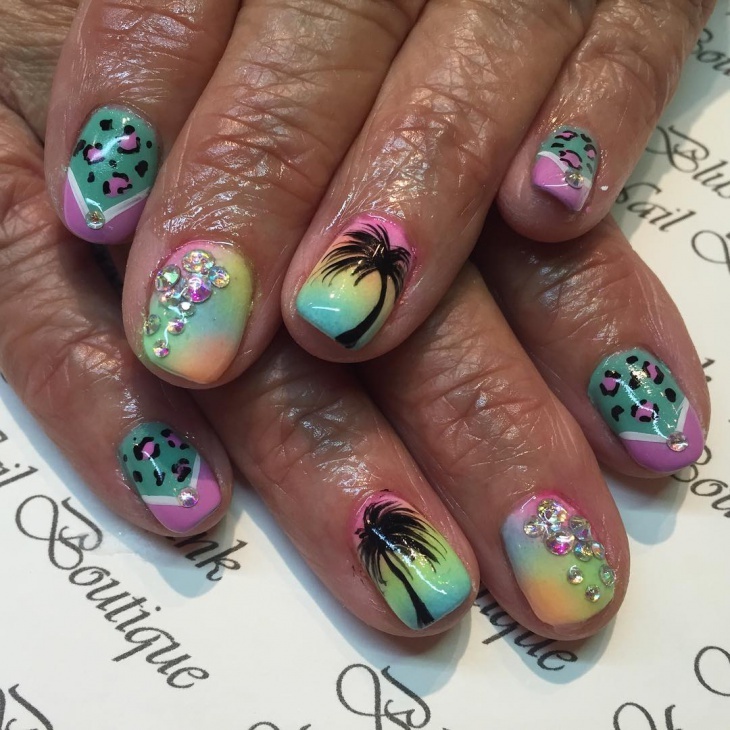 These nail art designs are available for free and can both be brought on your local shop or experimented on a DIY basis. 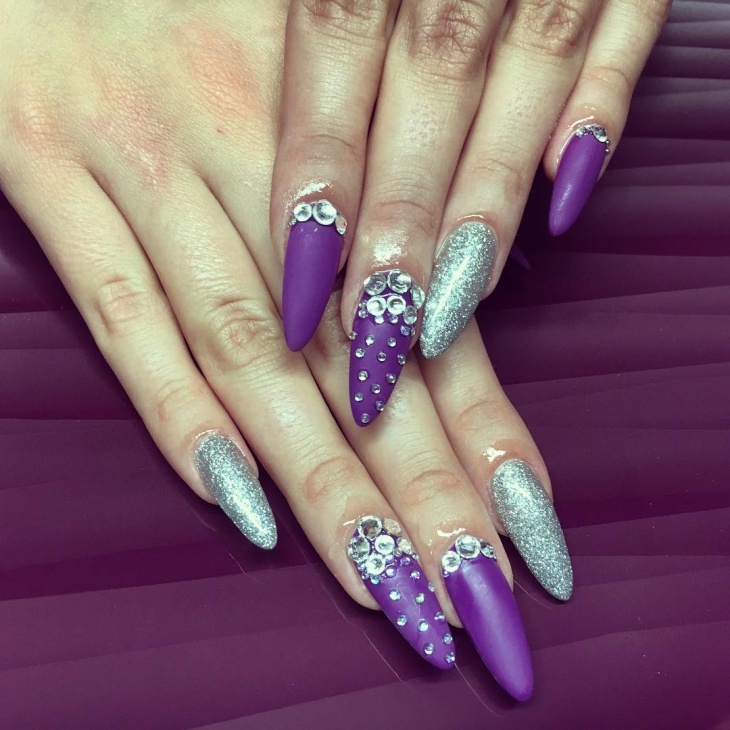 Let’s take a look at 21 very cute and gorgeous rhinestone nail art design. 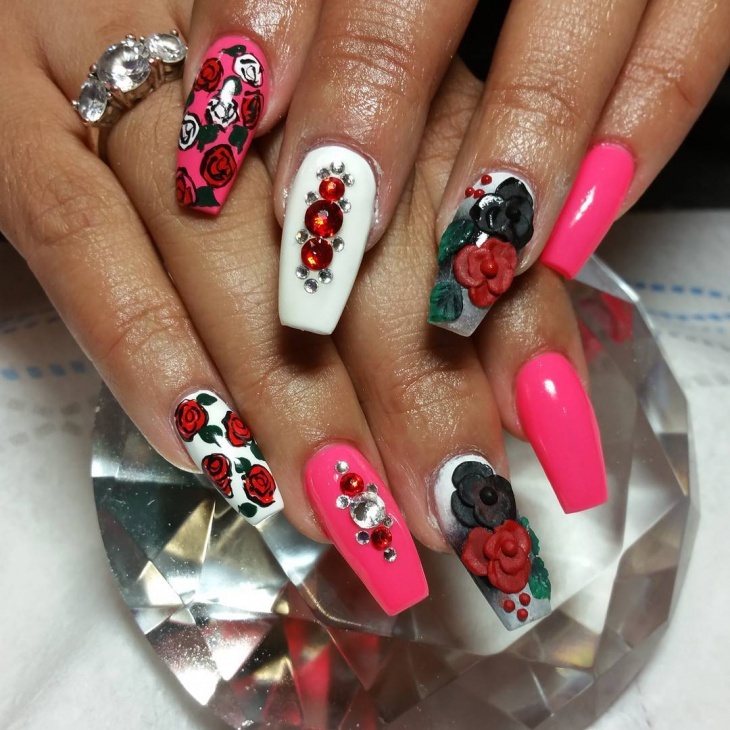 We bet that you will fall in love with your nails again! 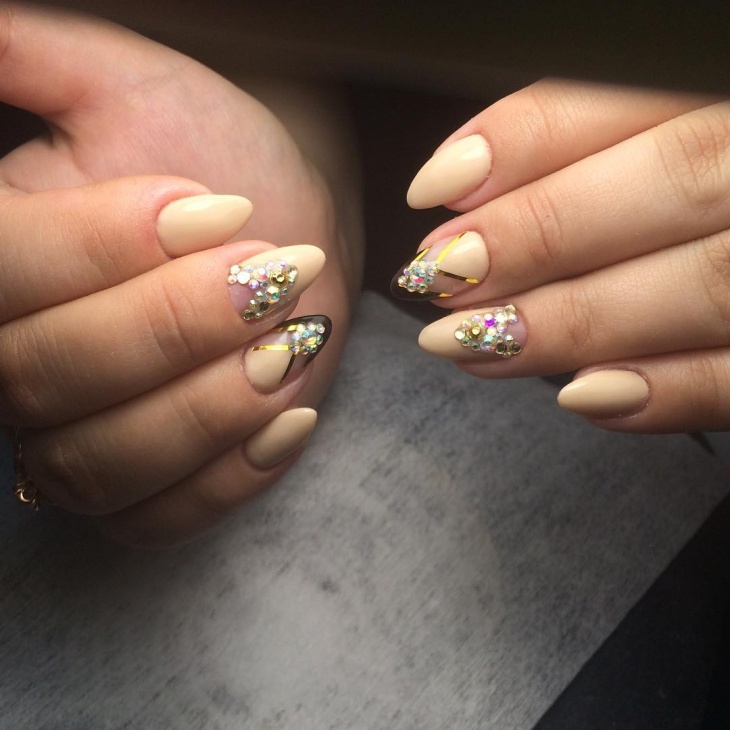 There so much experimenting that can be done with gold glitter nails and rhinestone. 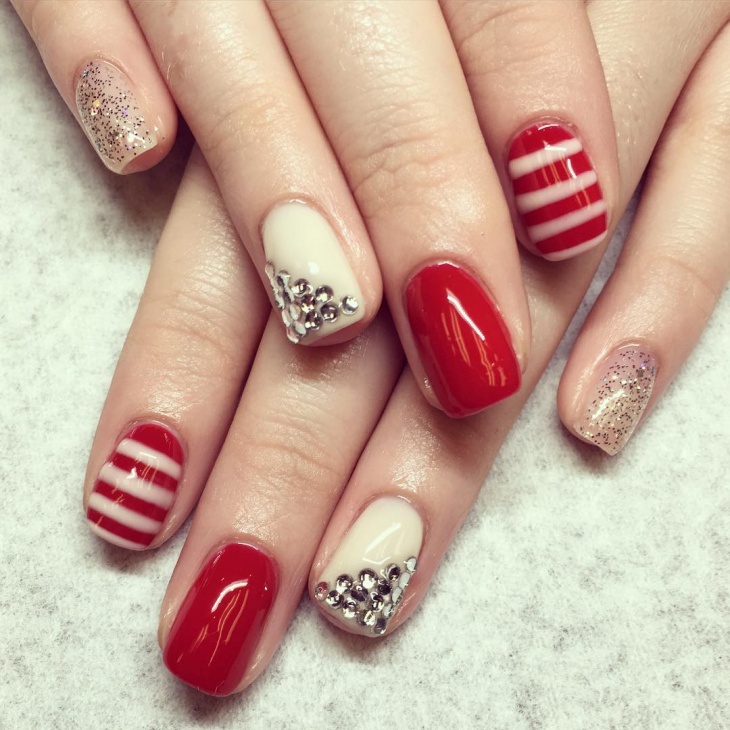 Just believe that your nails demand no less a decoration and the possibilities will come up. 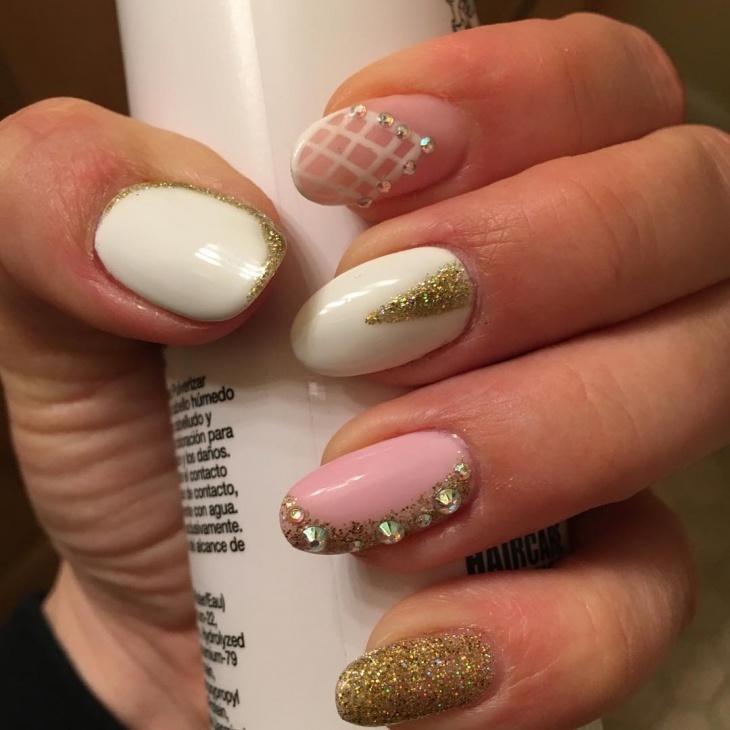 You can either fill up your nails with gold glitter with a couple of rhinestone art strategically placed or use the glitter to make out patterns. The results are amazing. As we did with the camo green, the same can be treated with bright pink. 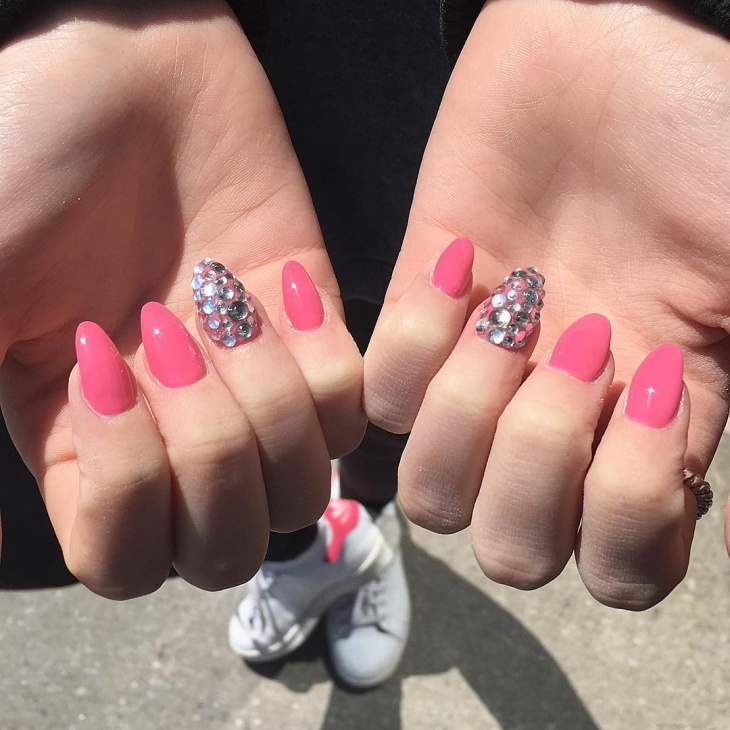 As it is, pink always looks good on your nails. 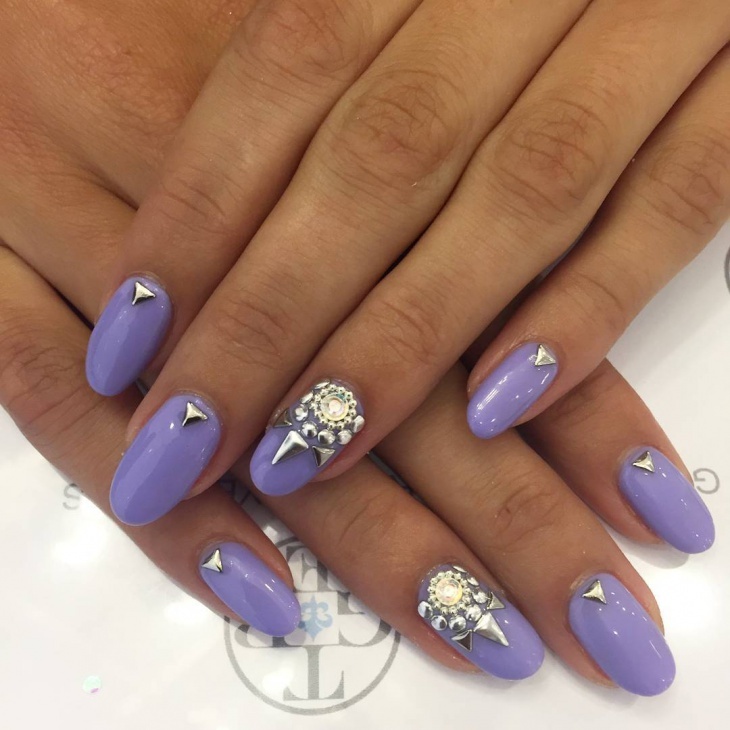 Add some rhinestone nail art to it and you are ready for a different experience altogether. Blue looks royal and suits most girls and their fingernails. 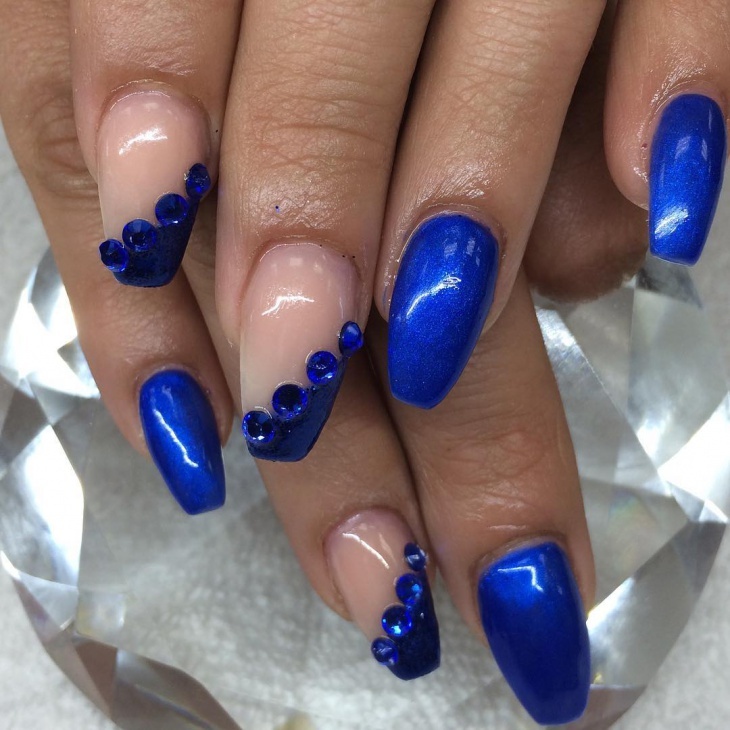 Team it up with blue rhinestone nail art and you could be doing something different. 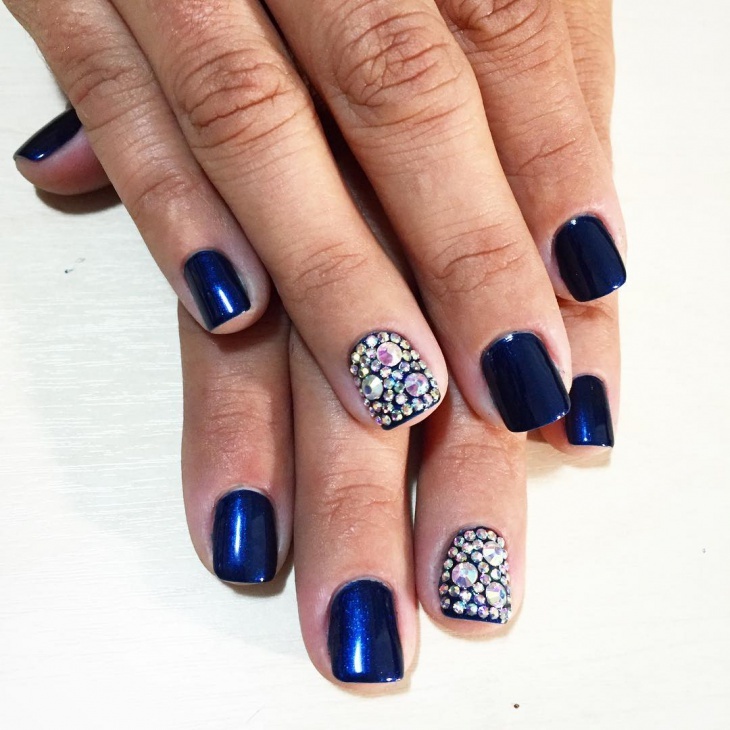 You can opt for both solid blue covering the whole nail or partial polish embroidered with rhinestone art. 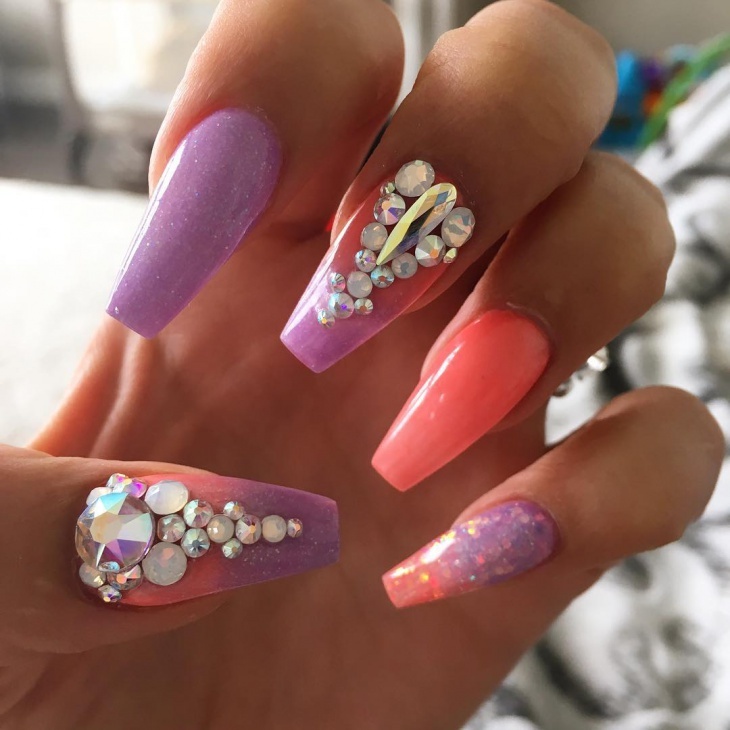 A gradient of pink and white is a hot combination for long nails. 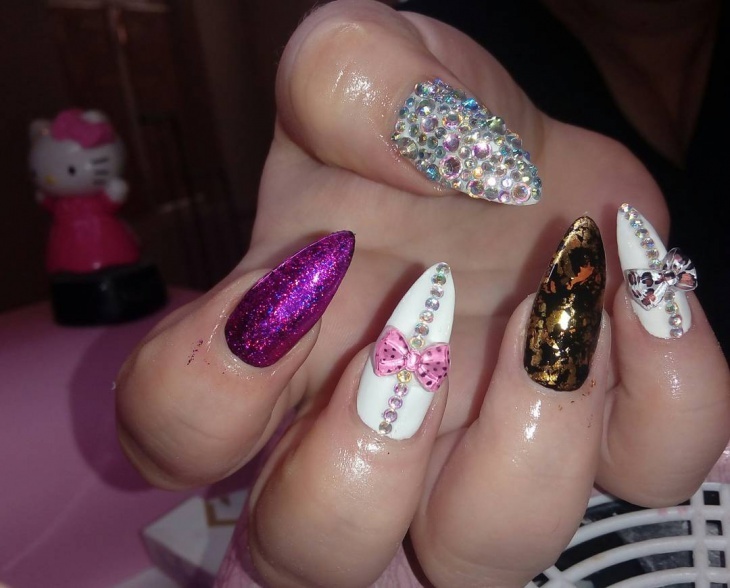 To make things more girly, you can use one of these hello kitty nail design and Swarovski rhinestone crystals. Easy to wear, it will effortlessly make people love you! Time to go back in history and relive the old world charm. The combination of black and gold is particularly catchy and makes us think of royal beauties like Cleopatra! 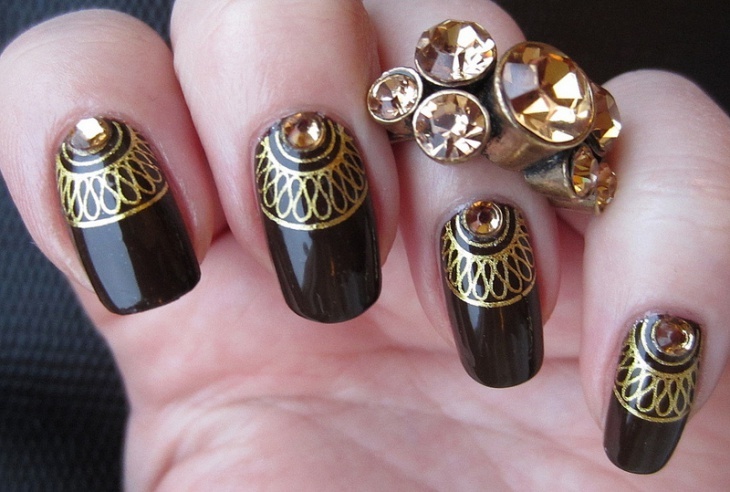 Well, you can be the princess of this age with these beautiful black and gold rhinestone nail art designs. Team it up with matching rings to make things bolder. Red and girls go hand in hand! 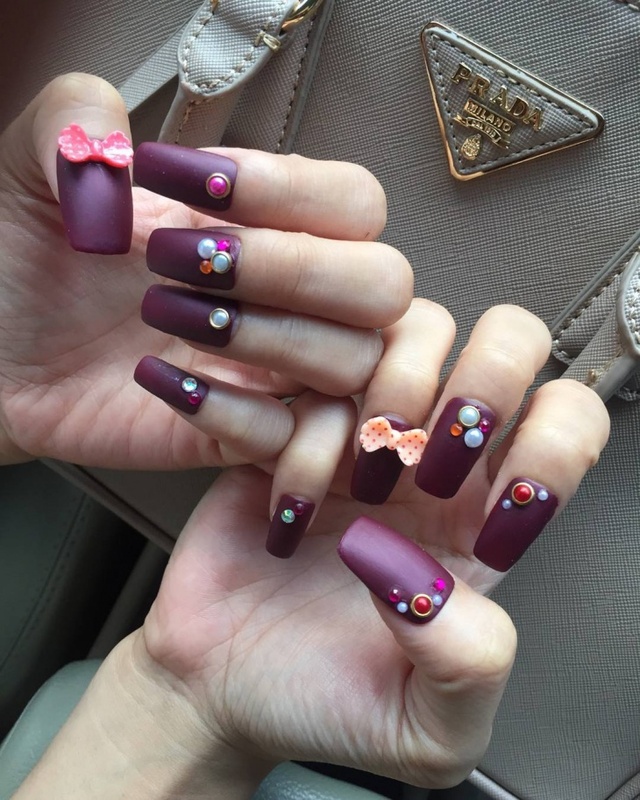 These bow nail art design in particular make the polish even more desirable. This would be perfect if you are preparing for a casual party or a walk to the supermarket. Looking to tread on the wilder side? There’s great opportunity with these cat patterns. A snow leopard pattern embedded with rhinestone art can suit many occasions and will never disappoint. Try these out if you have a go-ahead personality and a gorgeous side to it! 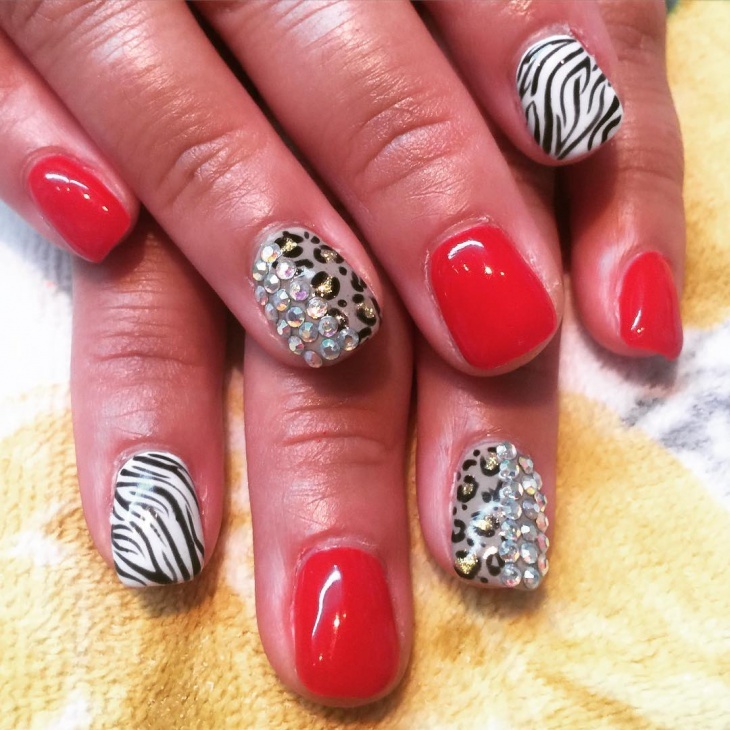 Rhinestone nail art design is a popular trend today and one of the simplest ways to wear it is this example. A purple solid for a base, these white rhinestone crystals provide the perfect contrast to it. While these glitter away effortlessly, be sure to attract more glances than usual. 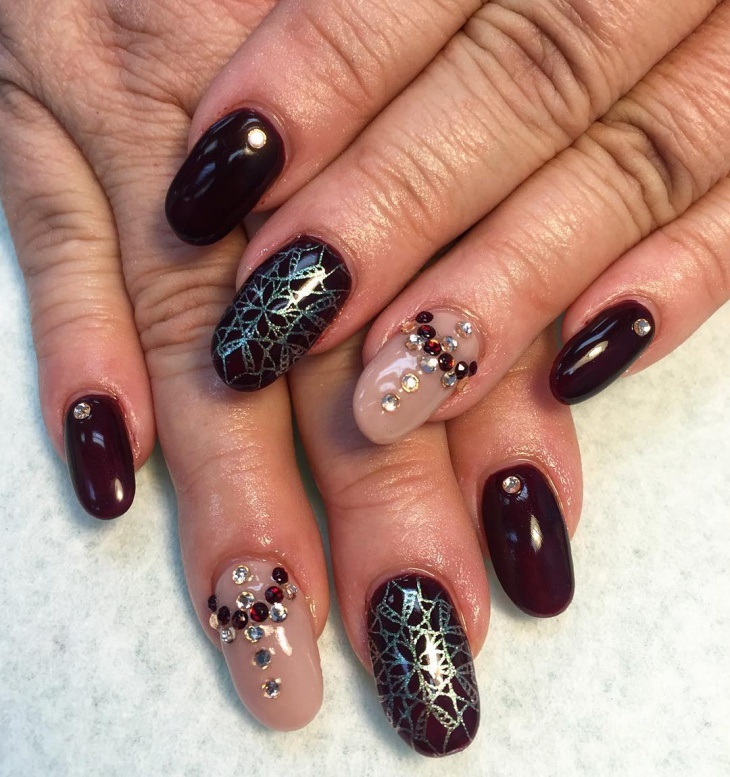 A little to the darker side, these coffin nail color can be a unique design. Add a few rhinestone crystals to provide a balanced contrast to the setup. Subtle accents and colors can be gorgeous too. This camo green in particular will keep things simple and you can use a couple of rhinestone art stickers to break the monotony. From a single round rhinestone to a whole assemble of it – experiment as you wish. If you liked our murals, do feel free to share your thoughts! 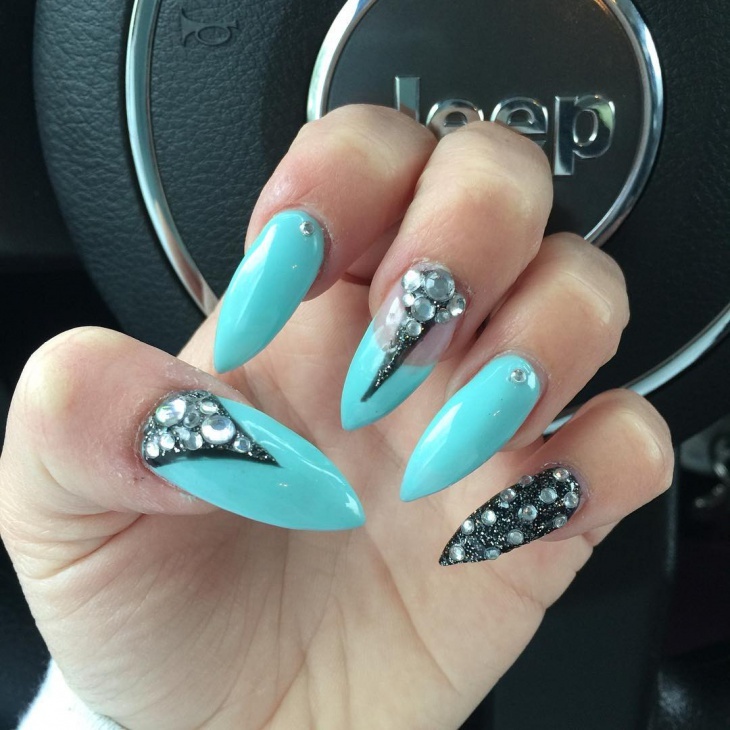 We would also like to hear more ideas about rhinestone nail art designs that you wear.